Other Notes: Happoshu based. 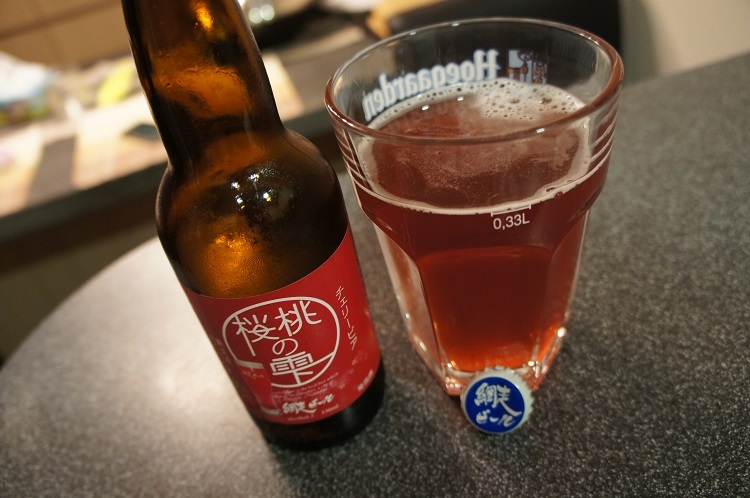 Brewed in Hokkaido. Intro: A 330ml bottle dated best before 28th October 2015 and poured into a pint glass. Appearance: The beer poured a slightly hazy dull pinkish red colour with a half finger head that disappeared almost immediately. 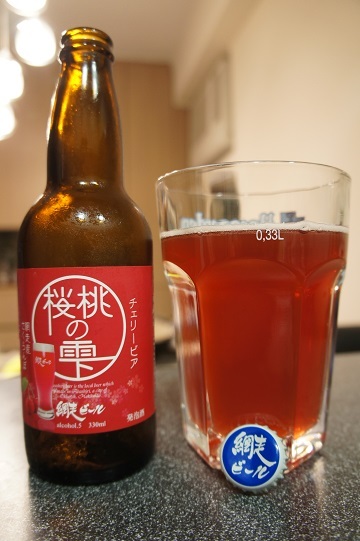 Aroma: Strong aromas of candied cherry, some bubblegum, cherry syrup. Taste: Immediate taste of candied cherry (like cherry soda) but then all of a sudden less than 2 seconds later, it all disappears. You’re expecting some sweetness or something, but its not there at all. It pretty much becomes like extremely watered down cherry water. 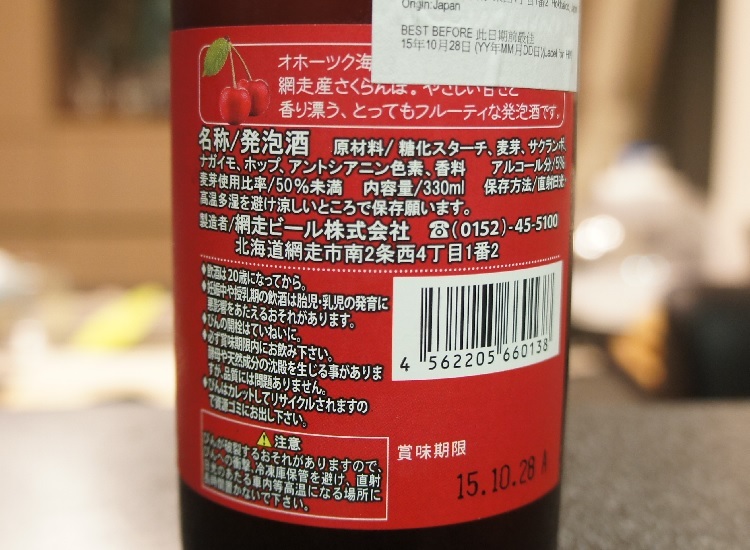 Overall: I saw cherry, and I didn’t need any more persuasion to buy this beer. 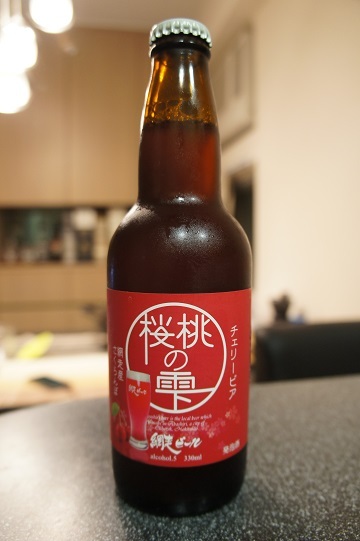 This beer was happoshu based and there’s nothing wrong with that. I also enjoy cough medicinal flavours, and this kind of had this at first, but then it disappeared even quicker. Watered down cherry water, that’s what I got… it started off fine and then just fell off. I don’t know how I finished the whole thing… It was also damn expensive at around USD4 a bottle. Not worth it at all, save your money!